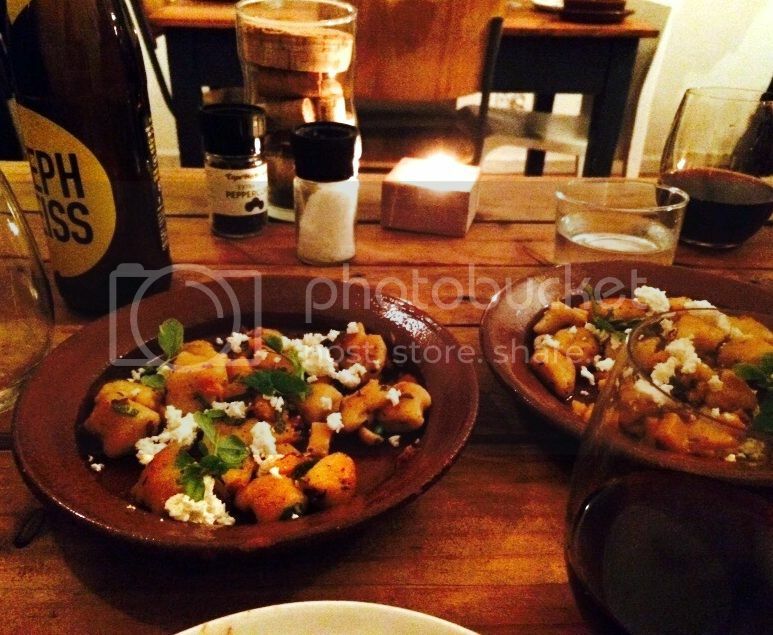 Chalk & Cork is a long whispered about Kloof street gem. The whispers aren’t quiet – I’m just a little slow in getting my act together. But finally we headed out to visit this restaurant on George’s sisters firm recommendation. To ensure maximum recommendation appreciation she actually joined us for dinner ;)! 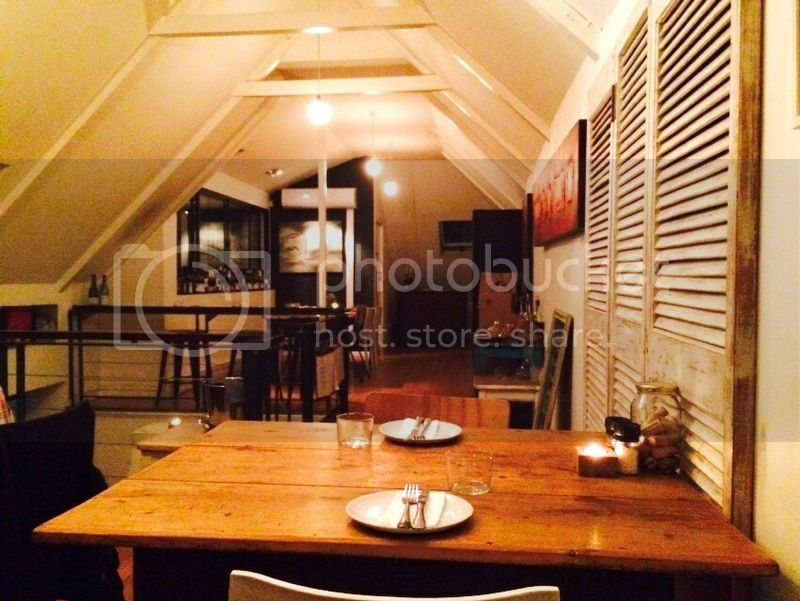 Chalk & Cork is a cozy little spot and works wonders for winter time dining. The menu offers pizzas in both their traditional form and the cauliflower variety. We opted instead to try a few of their tapas dishes. Our waitress was a great help in narrowing down the great dishes for our dinner. Our evening started off on an unfortunate footing however. There was an unbelievably obnoxious table across from us who were incredibly loud in a relatively small space. The table next to them asked them to keep it down a little with the result of one of the members of this obnoxious table standing up and shouting at them to shut up and that they wouldn’t keep quiet. The entire restaurant went silent and the awkwardness was unbelievable. Much to the entire restaurants relief they were finishing up their dinner and the manager quickly sorted out their bill. However this event kind of upset our evening. It’s not the restaurants fault and the management team handled it well but it would have been better had they stepped in sooner. After I wrote this out, but before I hit publish, the manager at Chalk & Cork got in touch with George. They called to apologise again for the disrupted evening, asked for his feedback and asked him to please visit again and they’d love to offer us bubbles on the house. I was blown away by the follow up – Cape Town can get good service right! Before you think – oh that’s because she’s got this blog thing. Doesn’t apply this time – George made the booking, they didn’t know who I was or that I was going to write this review. BUT! When you visit Chalk & Cork this should not happen to you! You need to know about what to order because the food really is the star of the show! Our waitress recommended about six dishes to share between the three of us. We ordered a little less than that because we ordered three pasta dishes and planned on having dessert! Our food was taking a little while and before I could even follow up on the food our waitress popped up with a bowl of marinated olives and an apology for the food taking longer than expected. Again – impressed! The olives were damn delicious and I now will be ordering them again on my next visit! I ate many many of these olives and they were fantastic with the La Vierge 2012 Satyricon Sangiovese Nebbiolo. 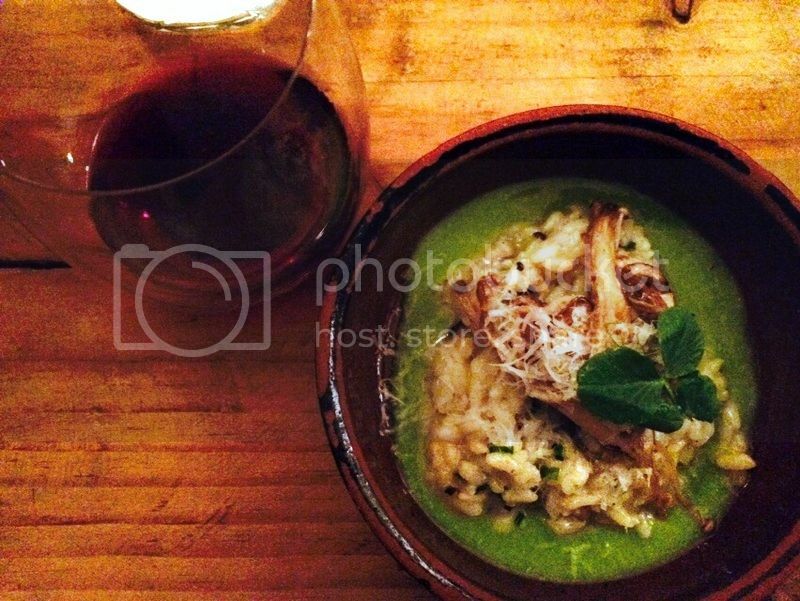 Our first dish to arrive was the wild mushroom risotto with pea puree which was tasty and filling but not the star of the show. The dish could have done with some more delicious wild mushrooms. 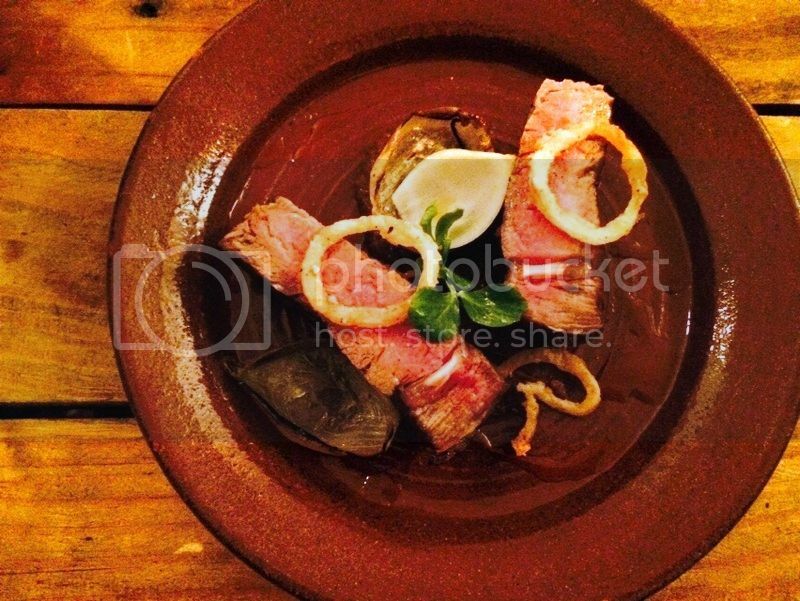 Next up was the aged beef sirloin with variations of onion for R90. This was really delicious but probably better for sharing between two people because of the way it was served. The sirloin was tender and served a perfect medium rare. I loved the crispy onion rings and the slow roasted onion shells. Another winner was the salt and pepper squid with lemon aioli for R55. We probably should have ordered another one of these! The squid was delicious and crunchy! I loved the crispy squid tentacles with lots of lemon aioli and fresh lemon juice squeezed on top! 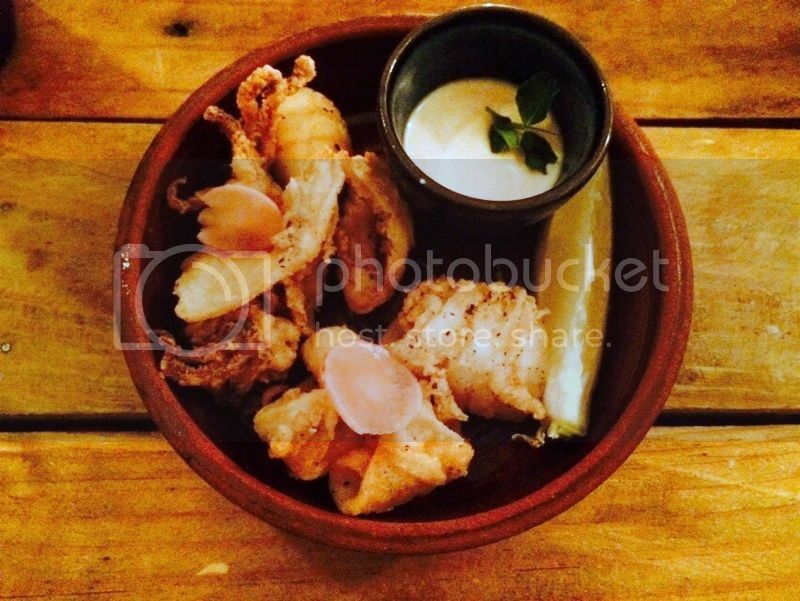 George is a huge calamari fan – and he fully approved of this dish! However, of all the lovely dishes we ate the brightest star of the evening was the butternut and ricotta gnocchi with brown sage butter and hazelnuts for R52! We ordered two – it was amazing! We should have ordered one each! The ricotta gnocchi was light and fluffy and worked perfectly with the crunchy roasted hazelnuts. There are lots of other dishes on their menu that I’m looking forward to trying on future visits including the ox tongue with butter mash and pickled vegetables and the aubergine parmigiana. We asked the waitress if it would be enough to share their decadent chocolate pudding with salted caramel ice cream between two of us. She thought it would be. She was wrong! Half way through the first chocolate pudding we quickly called for the order of another! This chocolate pudding is mind blowing and is not for sharing purposes! 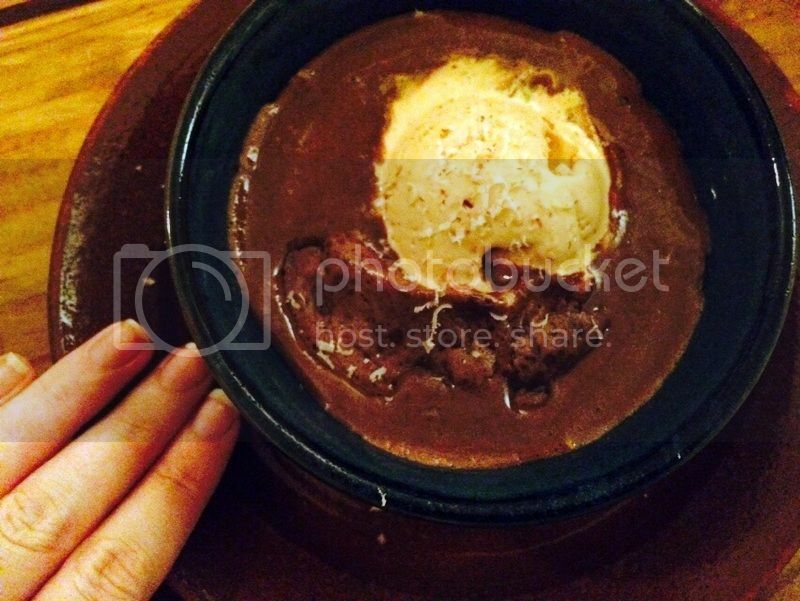 The chocolate pudding is more chocolate goo than actual pudding with a quickly melting scoop of delicious salted caramel ice cream in the middle. If you go to Chalk & Cork and do not order this dessert you are severely missing out on life! Take my advice here – I have rarely been wrong with regards to dessert! Our evening finished on a sweet note and I look forward to returning for more dinners! Opening times: Tuesday 9am til 5pm and Wednesday til Saturday 9am til 10pm. Loved reading this blog and check in to read it from time to time. 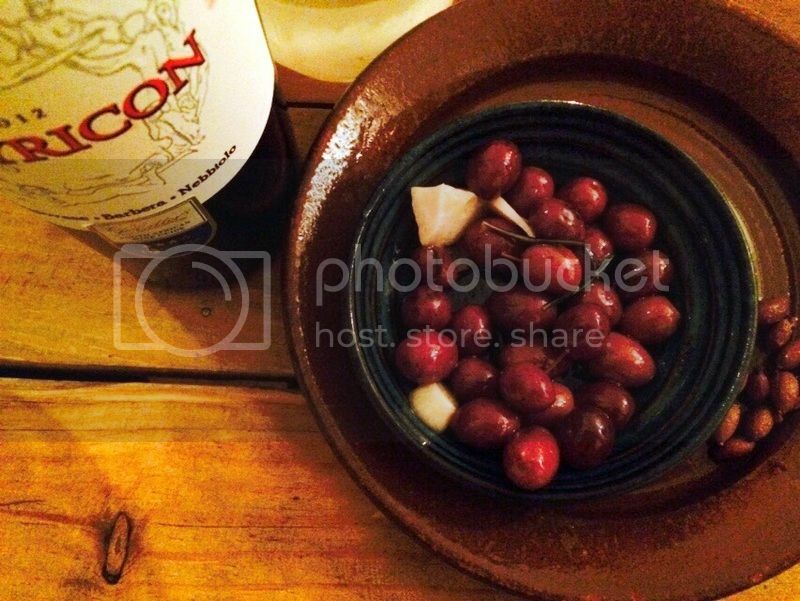 Love the restaurant reviews and marvelous pics. Hope whatever ills you mentioned that befell you in July, are long gone. My husband and I met your parents and their British friends on a Baltic Cruise in 2012. Your parents are awesome….but then you know that. For the stop in St. Petersburg we found an independent tour operator who arranged for a new Ph.D. graduate in Art HIstory to be our guide for the 2 days we were in port. Fabulous experience. We are coming to Capetown in January and will be spending dime with your parents. Reading this blog has helped us understand what a very special place Capetown is. Please keep writing! !